Fixed Fee for Filing a Divorce v. Flat Fee for Filing a Divorce. 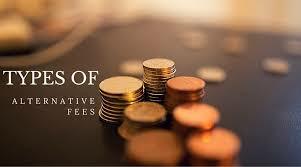 A fixed fee divorce or a flat fee divorce may be a distinction without a difference in many instances. In New Jersey, divorce lawyers may charge a flat fee for specific services stated in the retainer agreement with their client. If you are seeking a limited uncontested divorce, here at Green & Associates, we may charge you a flat fee for the specific services related to such a divorce. An uncontested divorce may be a default divorce, where one party does not respond to the complaint for divorce, or it may be a divorce where both parties are in the case. Generally, if there is property or children, a property settlement agreement or matrimonial settlement agreement is drafted for the parties to agree upon issues of child custody, child support, alimony or spousal support and equitable distribution of real property or assets, debts or liabilities. If you wish to go forward with a divorce for a flat fee, call us today in our Fort Lee or East Brunswick divorce offices at 732-390-0480 or 201-242-1119 for a free consultation. Night appointments are available with our NJ divorce lawyer and NJ divorce attorney.